William Henry “Bill” Muehleib, of Virginia Beach, passed away peacefully on June 15, 2017. He served his country as a member of the Army Air Corps and was stationed at Wheeler Field on Dec. 7, 1941. After Pearl Harbor, he was part of the newly formed Night Fighter training group in California and later served in the U.S. Air Force. 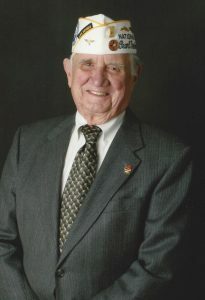 Bill Muehleib served the Pearl Harbor Survivors Association as a district director on the national board, then as national vice president and finally as the last national president when the association disbanded in 2011. He also played a key role as the association’s representative in the veteran service organizations in our nation’s capital.